Darwin did not start out studying evolutionary biology. In fact, his father wanted him to go through medical school, but Darwin had little interest in the type of work it required. Soon, he left medical school and started studying at Christ’s College, Cambridge. He planned to enter into a life at the church; however, he fell in with a crowd of naturalists who believed that scientific studies were part of their religious duty. After he finished school, he went on a two year voyage aboard the Beagle. His father still thought it was a waste of time, but it was this trip that provided evidence which Darwin later corroborated with research and experiments and described for the rest of the world in The Origin of Species. It’s hard to overstate the significance of The Origin of Species. The idea of evolution had been around for a while. Before Darwin, Jean-Baptiste Lamarck had written about his theory of transmutation in which he believed simple life forms became more and more complex over time. But Darwin’s seminal work provided a natural explanation for the process of evolution. Darwin also believed that species could share a common ancestor. There were only 1,250 copies of The Origin of Species made on the first printing. The first editions were purchased before they even hit shelves. The second edition came out in January 1860. When The Origin of Species was first published, there was some controversy. Up until this point, many people accredited evolution to divine will. After all, the fields of science were closely tied to the Church of England. Still, there were differing opinions within the church surrounding Darwin's points. Several counter arguments to religious objections were included in the second edition, and the last sentence changed to: “There is grandeur in this view of life, with its several powers, having been originally breathed [by the creator] into a few forms or into one...” in an attempt to appease the religious sector. Creationism grew out of the fundamentalist movement at the time, but fundamentalism was never explicitly opposed to evolution, and many of its leaders accepted evolution as a plausible explanation. From a scientific perspective, Darwin's work went in and out of favor. While many scientists immediately agreed that evolution existed, others questioned whether or not natural selection was as significant as Darwin argued it was. 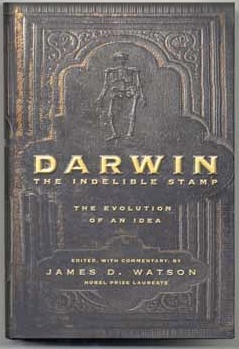 By the 1930s, Darwin's ideas were widely accepted in the scientific community. The Origin of Species isn’t Darwin’s only work, although it is by far his most important. The Descent of Man examines the process of sexual selection in humans. In it Darwin, who was an abolitionist and abhorred slavery, argues against the idea that humans were created as separate species, but instead, states that we are all one race. He argues that difference in races comes more from the perception of beauty within different societies. This book, alongside The Expression of the Emotions in Man and Animals, examines the origins of humans. Darwin’s journal from his journey to the Galapagos has also been published as What Darwin Saw in His Voyage Round the World in the Ship Beagle. 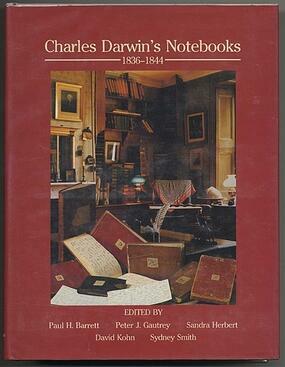 Likewise, his notes leading up to the publication on his theory of evolution, Charles Darwin's Notebooks, 1836-1844, provide a unique insight into the development of one of the most important books ever published.